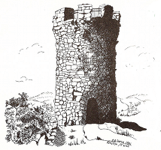 There will be a Castle Craig Chapter Net on Friday August 1st 2014 on the club net frequency of 28.375. The purpose of this net is to kick off the 10-10 Winter QSO Party. I hope that all club members will join in. Even if you do not have a 10-10 number you are worth 1 point to the rest of us who do and are submitting logs. The QSO party runs from 0000 UTC February 1st 2014 to 2359:59 August 3rd 2014. We will start taking checkins at 7:45 PM local time, (23:45 UTC), and I will be the Net Control. I would like a station to help with relays if needed. The procedure is simple. At 8 PM local time, (0000 UTC Aug 2nd), we will start from the top of the list, (myself), and I will give my 10-10 information, that is Call, Name, QTH (state), and 10-10 number. The next station will be called and that person will give their information and then stand by. We will proceed to the bottom of the list. Several MRAC members where spotted at the ARRL Centenial Convention during it’s July 17-19 2014 run. The Castle Craig Chapter of 10-10 was there to help out the national orginazation doing booth duty.